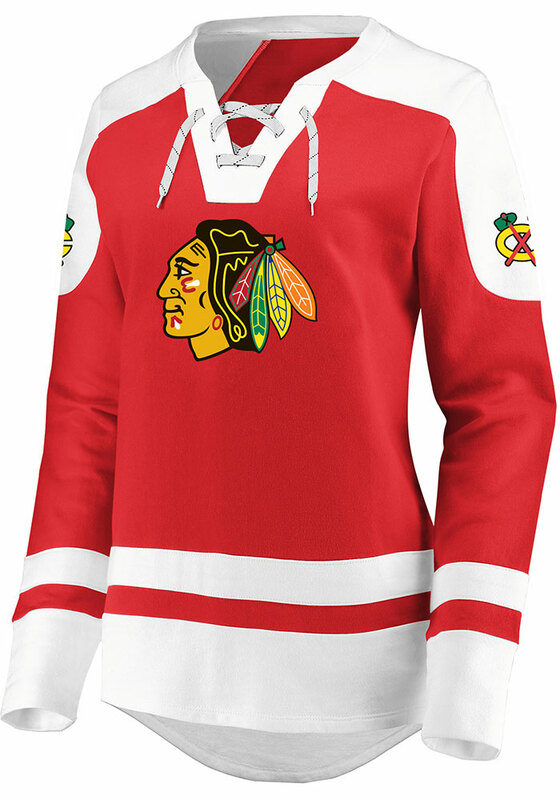 Make your way to the big game in this Chicago BlackhawksWomens Red Centre Crew Sweatshirt! 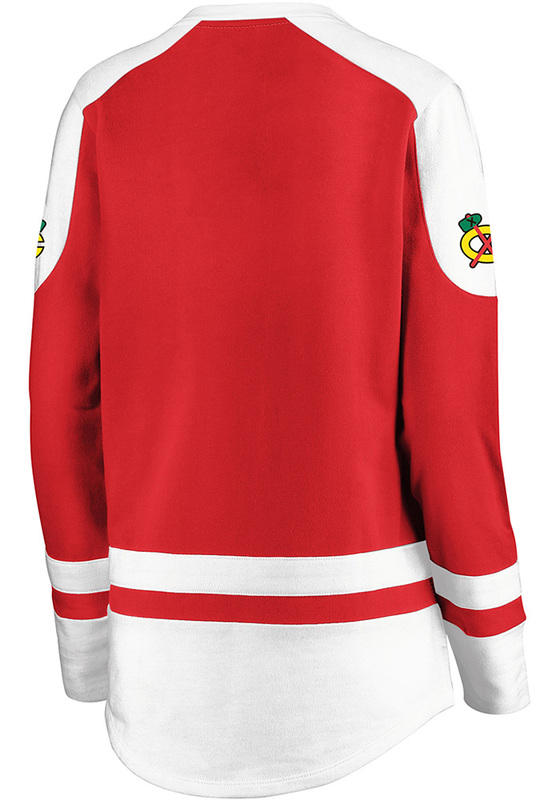 This Blackhawks Long Sleeve Sweatshirt features a printed twill applique on front and screen print on sleeves. Stay warm and comfortable with this Womens Chicago Blackhawks Blackhawks Crew Sweatshirt.